I found this pin on pinterest and was so intrigued with the concept of using beeswax to make some cute sandwich or snack bags for the new school year! I liked the idea of making something that is 100% natural, non-toxic and relatively inexpensive. 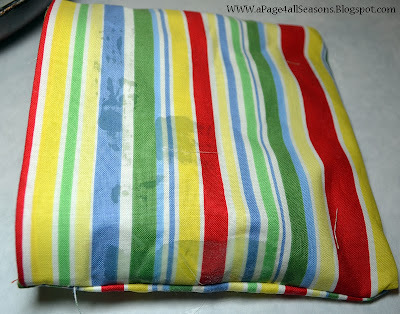 Coating your snack bag in beeswax will keep your food from drying out because it doesn’t breath. 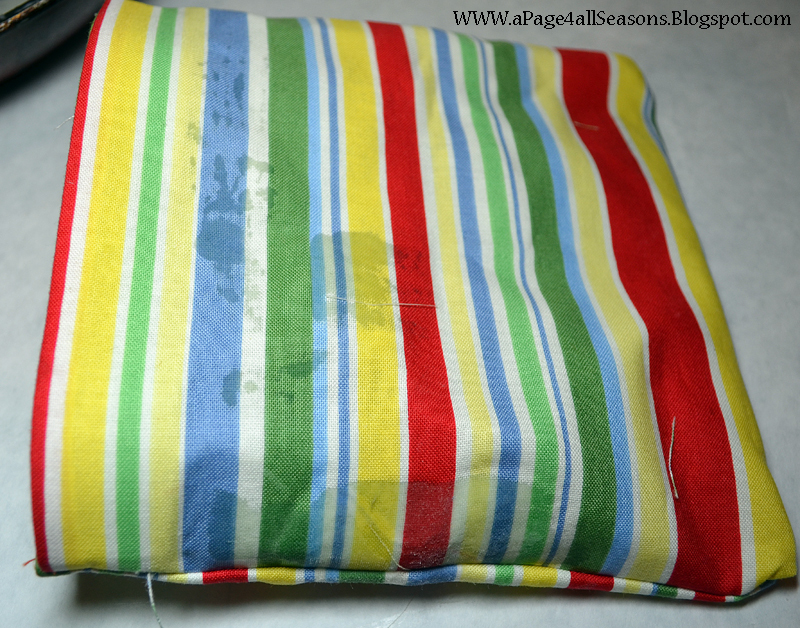 It makes your cloth water resistant and helps to prevent the growth of mold, yeast and bacteria. 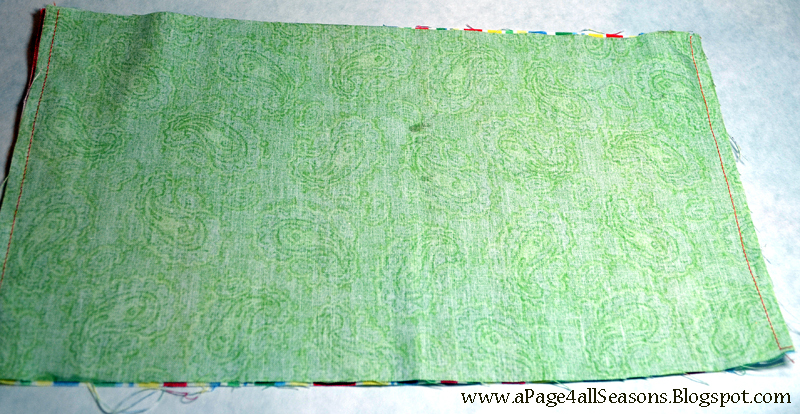 Cut your 2 fabric strips to be 7" wide x 13" long. 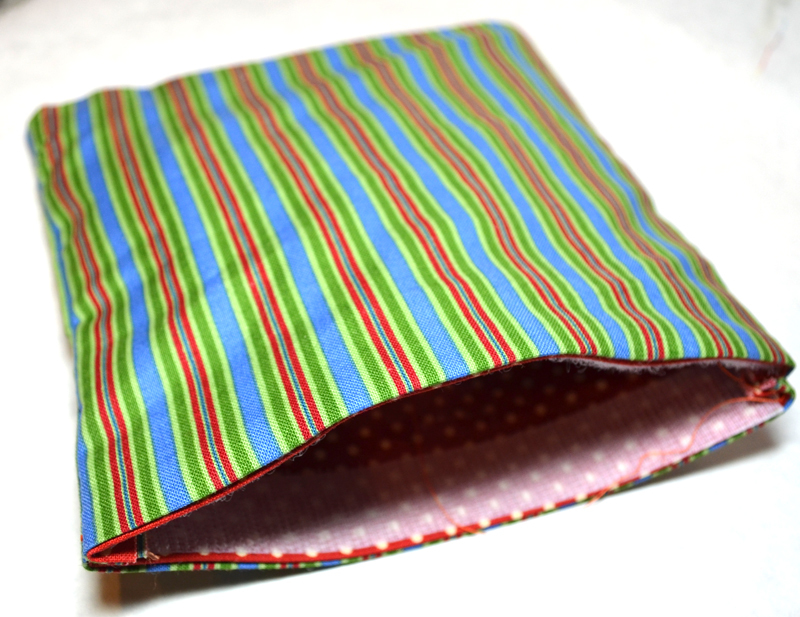 With the right sides of your fabrics facing each other, sew them together at the top & bottom of the fabric. Turn the fabric right side out and iron your seams. 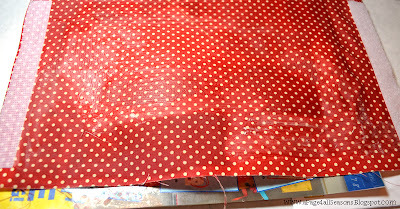 Cut your FabricFusion velcro to be 6.5” long and iron to the top & bottom of the bag leaving a 1/4” space for a seam on both sides. Melt the beeswax on LOW heat in your pan. 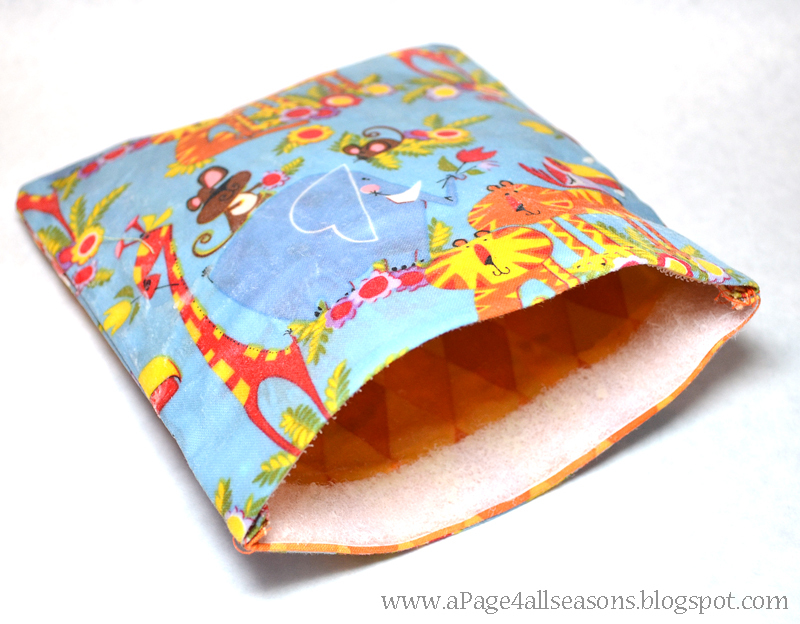 Put a magazine in between the liner and the front of your bag. This helps keep the bees wax from leaking through onto the front of the bag. Carefully paint the wax below the velcro and 1/4” from each side. 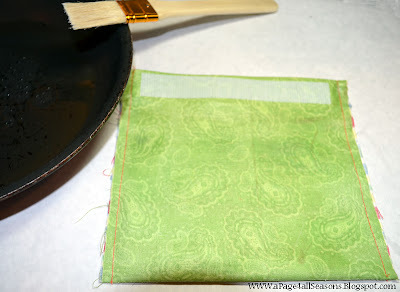 Believe me, you will want to do this carefully because your sewing machine WILL NOT like having to sew on waxy cloth :) Let the wax dry. Fold your bag right side out to use! 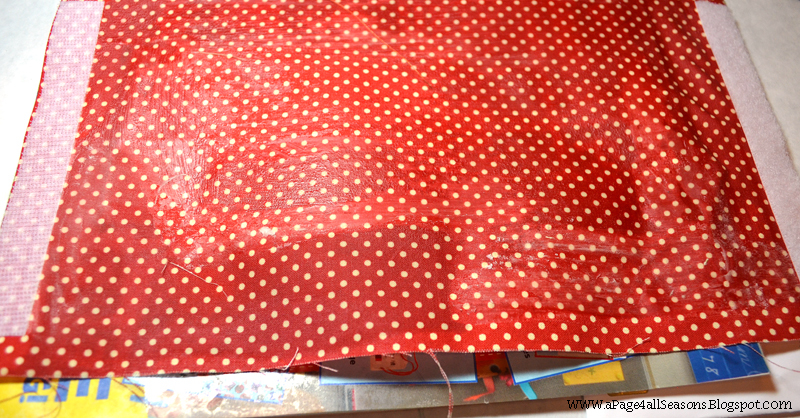 And, since I was having so much fun waxing, I also got this plain piece of fabric and painted some wax on. 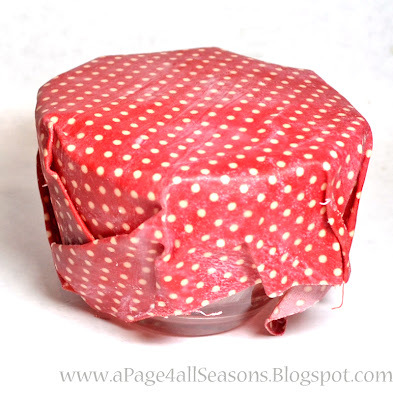 I used it on this glass dish, and thought how much easy and (way cute) it would be to use this instead of Saran Wrap! To wash: Hand wash in COLD water with a mild detergent only. 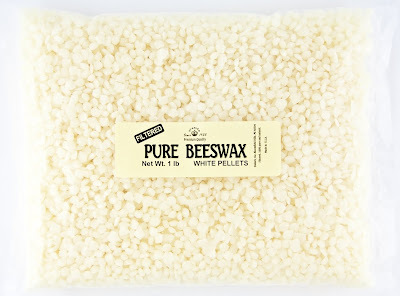 Instead of using the block of bees wax, I bought these beeswax organic pastilles on Amazon.com. They were only $18.38 for 2 lbs. This is MORE than enough. I am sure I could make a bazillion of these bags with this much wax. I liked this wax because it melted quickly and was easier to measure. Before I figured out to use the magazines, I didn’t like that the wax was showing on the front of the bag when I first tried this. I tried to first do the liner with the beeswax and then sew the fabric with beeswax on it but it was way hard to sew AND wax ended up melting on the main fabric when I tried to iron on the velcro so that was not a successful way to modify this either. Hello, can I ask does the velcro stay on as its stick on only and does the strip take awhile to dry?